Some of the most popular ­travel destinations in the world are also some of the most polluted. Below are five of those, including a key measure of their air quality—the mean concentration of particulate matter that is in excess of World Health Organization (WHO) guidelines. WHO tracks particles of two different sizes, and air that exceeds a certain level in either size is unhealthy. Delhi, India, is a popular tourist destination because of its history and culture, but its many vehicles, industrial clusters in and around the city, power plants and the use of fires to burn crop residue in surrounding ­agricultural lands have created some of the worst air quality in the world. The concentration of very fine particulate matter (PM) in the air is 14.3 times WHO guidelines for what is acceptable. Two more Indian destinations with very poor air quality: Mumbai (PM 6.4 times guidelines) and Kolkata (PM 7.4 times guidelines). Beijing, China, is among the world’s most dynamic cities and most memorable tourist destinations with a rich history dating back thousands of years. But dense traffic, heavy industry in the area and weather patterns that often trap smog over the city contribute to horrible air quality (PM 7.3 times guidelines). Also: Shanghai, China (PM 4.5 times guidelines)…and elsewhere in Asia, Bangkok, Thailand (PM 2.8 times guidelines). Mexico City has made strides in improving its air quality in recent decades, but issues remain due in part to a rapidly growing population with an enormous number of cars and trucks and a geographical “bowl” formed by a ring of surrounding mountains (PM 2.2 times guidelines). Paris is among the world’s most popular tourist destinations, but its air quality is among the worst in Europe due in part to heavy industry in northern France and the city’s severe traffic congestion (PM 1.4 times guidelines). 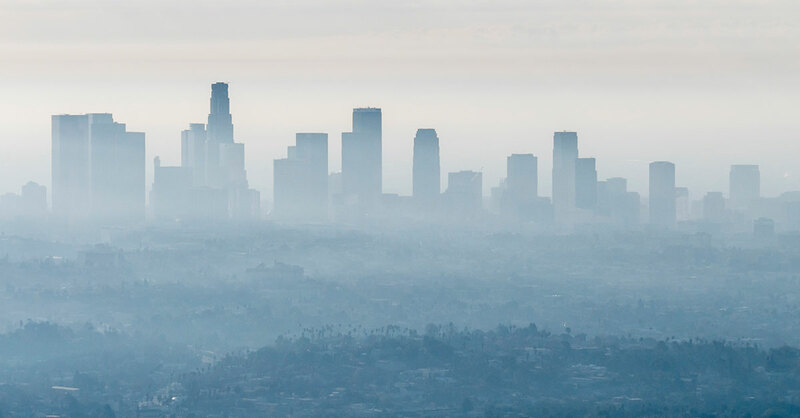 Los Angeles’s air-quality problems are not as bad as those in the other cities on this list, but it does have the worst air quality of any major travel destination in the US. That’s due to terrible traffic congestion, a weather pattern creating a so-called “inversion” layer that acts as a lid and mountains to the north and east (PM 1.2 times guidelines). Also: Houston doesn’t ­attract as many vacationers as LA, but its air quality is just as bad (PM 1.2 times guidelines).